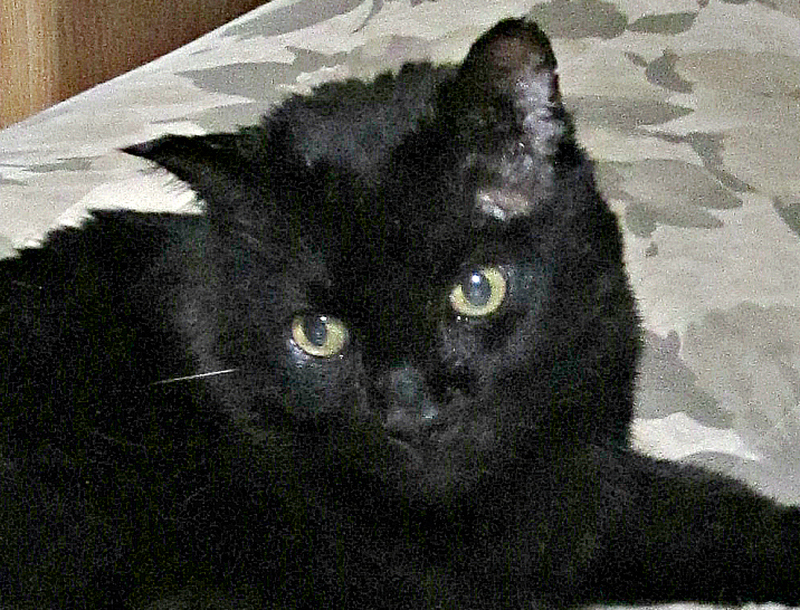 My kitty, Samy, who is fifteen years old, was a feral cat the first ten years of his life. During those ten years, he came to me for food, but he would never let me touch him. One day my neighbor told me that someone in the park was planning on shooting Samy, and that’s when I quickly decided that I had better bring him into my home to stay. A year after Samy came to live with me, it was obvious that he was not feeling well at all. He would sit on the sofa and move very little, and I just knew that he was preparing to die. I knew something was terribly wrong because Samy was drinking water in unbelievable amounts. I was buying ten pounds of litter every other day trying to keep up with him, and that is when he was diagnosed with a BG of 600. My vet prescribed one unit of Glargine twice a day, and she taught me how to test him at home. After several months she advised me to stop testing and just give him the shots. She said that it wasn’t necessary to be testing all the time. Later, I started getting some bad reactions, so I tested anyway. After four years of this procedure, I finally asked if, in her opinion, Samy would ever have a chance of going into remission. She felt that he would not since it had already been four years, and that if they are going to go into remission, they usually do so very quickly. After that news I decided to start checking out the web to see what I could learn. Fortune changed for us that night when I found TR. We started the TR protocol on April 11, 2015, changing to BCP U100 Bovine PZI, and with the guidance we got, we saved my kitty’s life. His last shot of insulin was on June 17, 2015. If I hadn’t found TR, I am sure that Samy would very well be gone by now. I think it is more than remarkable that in just over 2 months, he is OTJ. Now Samy’s eyes are bright, and he is a happy kitty again. Needless to say, I am over the moon happy and deeply grateful.